We've all been waiting for the middle finger emoji to finally arrive, but it looks like the Apple geniuses have had some holier updates in the works as well. On Wednesday, the latest iOS update brought with it more than 150 new emojis, including a wide range of religious symbols. As the selection incorporates figures from several different faiths and cultures, Apple's new religion emojis should make any First Amendment-loving American proud. In addition to the much-needed bottle of champagne and the unicorn, Apple added 14 new religious emojis, including a menorah, prayer beads, and a synagogue. The new emojis represent places of worship, symbols of deities (although no icons represent deities themselves), and instruments of worship. Although they don't have a category to themselves, they are spread out throughout the Travel & Places tab, the Objects tab, the Symbols tab, and even the Animals tab. The new faith-based emojis represent Apple's latest step in incorporating diversity into its operating system. Apple gave us a range of complexions and foreign-language characters in earlier iOS version, but this latest update brings diversity primarily through religion. The other additions to the emoji keyboard include new hand gestures and new food items, but the inclusion of symbols from Christianity, Judaism, Islam, and other faiths is where the diversity really shines in iOS 9.1. In addition to the menorah, prayer beads and synagogue, Apple added a mosque (pictured above, far left), a Shinto shrine (pictured above, middle), and the Kaaba (pictured above, far right). The Kaaba, in particular, is noteworthy because it represents a specific landmark in the Muslim faith, whereas most of the emojis represent a generic symbol of a certain faith (in the way that a synagogue represents Judaism, for example). The Kaaba is the cube-shaped building that stands at the center of Islam's most sacred mosque in Mecca, Saudi Arabia, toward which all Muslims pray to every day. As for the more generic symbols, Apple added a Latin cross (pictured above, left), a dove of peace (pictured above, middle), and a "place of worship" (pictured above, right). One notable image that Apple passed on? Buddha. There is an Om symbol that applies to Buddhism, but Apple reportedly chose not to include an image of the Buddha himself because industry best practices caution against creating symbols to represent individual deities. 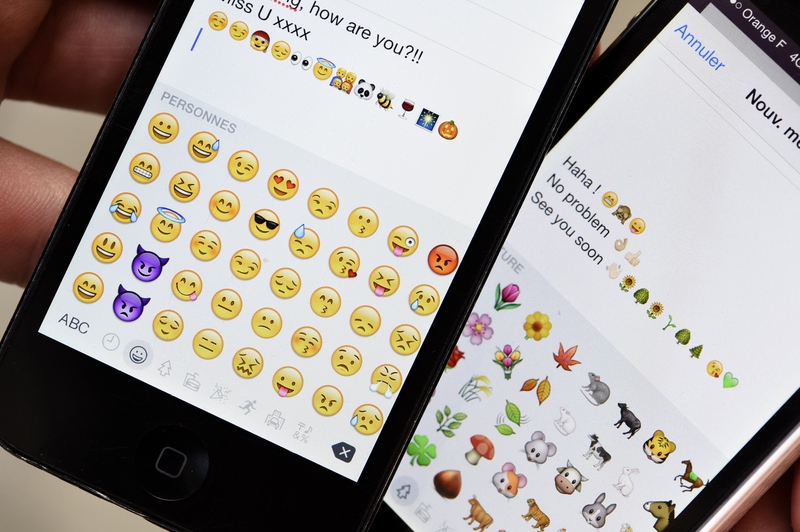 Apple's new emojis are all about giving users as many options as possible. Now, that freedom to choose even extends to religion. Whether you want to get religion-specific or keep it generic in your communications, there's a faith-based emoji for that — just keep it respectful, please.